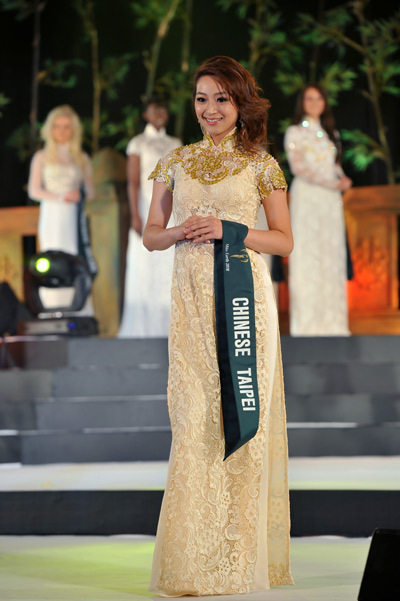 VietNamNet Bridge – Tijana Rakic from Serbia won the title Best in ao dai at the competition last night, November 17, in Nha Trang city. The Ecuadorian representative took the title Best in night gown. “This is the first time I wore an ao dai. 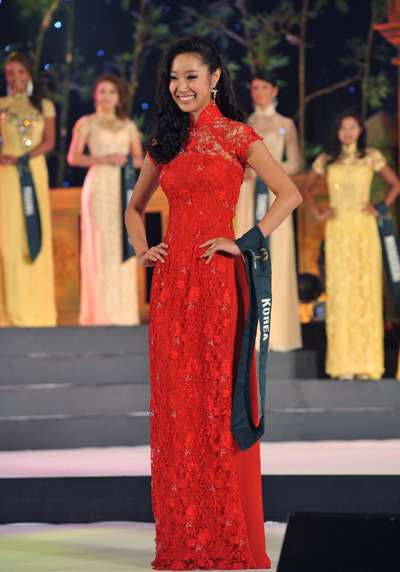 I feel very comfortable and I think that I am a gentle Asian girl when I wear ao dai,” Tijana Rakic said. The bonus for Rakic is a five-carat diamond and many gifts from the pageant sponsors. 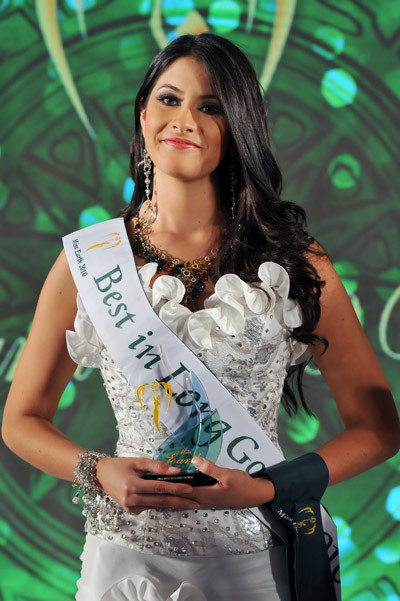 Jennifer Stephanie Pazmino from Ecuador was warmly cheered by the audience when she appeared on the stage in a white gown with crystals. She won the Best in night gown title. She received $30,000 bonus and many gifts. Pazmino was also among the top five of traditional costumes. The top five of the ao dai competition included the contestants from South Korea, the Philippines, Nicaragua, Serbia and Taiwan. The top five of the night gown competition were the representatives of Thailand, Brazil, Venezuela, Ecuador and the Czech Republic. On this occasion, the organizing board of Miss Earth 2010 pageant and Vinperal Land resort presented over 2 billion dong to flood victims in central Vietnam. Contestants also raised fund to support flood victims. 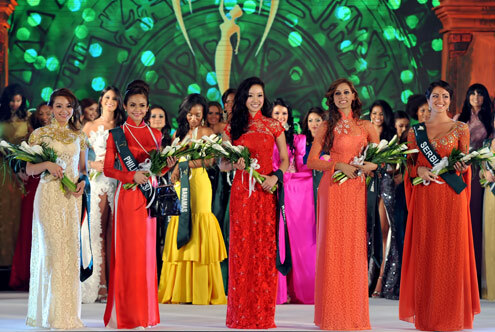 Tonight, November 18, Miss Earth contestants will take part in a Gala Dinner to raise funds for charity.